‘For One to Love” is such a loaded title for an album. It’s a joyful proposition full of promise that, on second thought, is just as likely to invite heartache and regret. They usually go hand in hand. Cécile McLorin Salvant is mindful of that, and on the jazz vocalist’s thoughtful new album, she treats love not just as a many-splendored thing, but also as a source of consternation and a time of reflection. Set for release on Friday, “For One to Love” is the follow-up to 2013’s “WomanChild,” the 26-year-old singer’s debut on Mack Avenue Records, which earned her a Grammy nomination for best jazz vocal album. Her latest builds beautifully on her breakthrough, showcasing her penchant for mining fresh perspectives from old songs while also putting a welcome emphasis on her own compositions. Reprising their roles from McLorin Salvant’s last album, pianist Aaron Diehl, bassist Paul Sikivie, and drummer Lawrence Leathers are deeply attuned to and part of the artist’s vision. Fixated on the vagaries of love, McLorin Salvant’s five originals hold their own alongside classics by Burt Bacharach and Hal David (“Wives and Lovers”), Stephen Sondheim and Leonard Bernstein (“Something’s Coming” from “West Side Story”), and Rodgers and Hammerstein (“Stepsisters’ Lament”). McLorin Salvant and her trio stretch the contours of “Something’s Coming” beyond 10 minutes, before it finally ends in a psycho trance worthy of Patty Waters. A curator and scholar by nature, McLorin Salvant also unearths more obscure material, such as the plaintive piano ballad “Le mal de vivre,” by Monique Andrée Serf, the French chanteuse better known simply as Barbara. Putting her voice through the paces, McLorin Salvant is clearly relishing the sass of “Growlin’ Dan,” a 1930s blues song co-written by Blanche Calloway (who was a successful singer and bandleader before her brother Cab). McLorin Salvant is a particularly dexterous vocalist, elastic in phrasing but subtle in shading. Sarah Vaughan is a common — and worthy — comparison. The first note McLorin Salvant sings on her new album sounds like it emanates out of the place mentioned in the song title: “Fog.” She elongates the word “love” in a feathery coo, but then she picks up speed, bending and shaping notes around the deft musicianship of her trio. 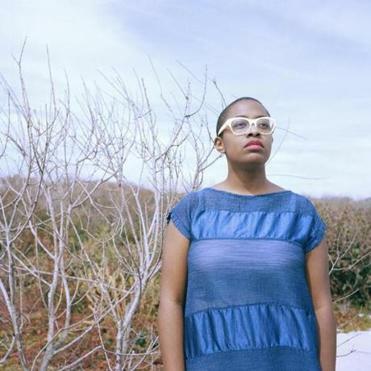 Cécile McLorin Salvant performs at Scullers Jazz Club on Oct. 2.